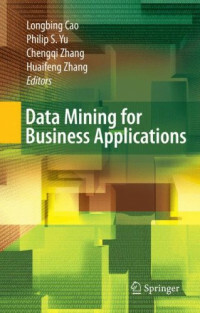 Data Mining for Business Applications presents the state-of-the-art research and development outcomes on methodologies, techniques, approaches and successful applications in the area. The contributions mark a paradigm shift from “data-centered pattern mining” to “domain driven actionable knowledge discovery” for next-generation KDD research and applications. The contents identify how KDD techniques can better contribute to critical domain problems in theory and practice, and strengthen business intelligence in complex enterprise applications. The volume also explores challenges and directions for future research and development in the dialogue between academia and business. The Pathways Series contains everything a student needs to learn generic computer activities. Flexibly organized from simple to complex, the activities support lessons involving software contained in Microsoft Office, the Corel Office Suite, Microsoft Works, or ClarisWorks. For Windows Server administrators, Hyper-V Replica is the free disaster recovery tool that can transform system availability. This book is the ultimate guide, taking a totally practical, empirical approach to teaching best practices.